Here at Metroplex Leak and Line Locators, our team of skilled plumbing technicians can perform a wide variety of plumbing tasks. 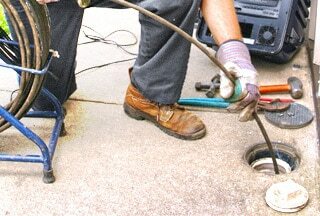 Whether hired by insurance carriers, other plumbing companies, business or home owners, we are capable of peforming any type of plumbing repair in Mesquite, TX. Fair and honest pricing, top quality service, and 30 years of exeperience make us the go-to local plumber in Mesquite and the greater Dallas area. When you call on Metroplex Leak and Line Locators to resolve your plumbing issue you can rest assured that you’ll receive 5-star treatment each and every time! Give us a call today at 214-388-4525 to schedule your plumbing repair in Mesquite. It is not uncommon for us to receive phone calls from exhausted plumbing companies or baffled homeowners who simply cannot find the source of a plumbing problem. If you are unsure of what is wrong with you homes plumbing system and need a true professional to come out and perform a diagnostic test of the system, we are here to help! From hydrostatic pressure tests, to line testing and more, we have the tools, technology, and experience to figure out exactly what is going on. Constatnly Dripping Faucets: Although small water drips appear to be of no consequence, looks can be deceiving. Did you know that a running toilet or dripping faucet can lead to water loss in range of 100-200 gallons per day? Cracked or Damaged Pipes: When pipes in your home’s plumbing system become cracked or damaged it is a very serious situation. The biggest problem is that piping is located under flooring and inside walls so it is not visible to the naked eye. If you notice water pooling up on flooring or inside walls, or have an unusually high water bill, these are key indicators that you have a water leak due to a cracked or damaged pipe. Loss of Water Pressure: Although it is possible that low water pressure in the shower could be due to an old shower head, it is also possible that you are having trouble with your water main. If so, this is a serious problem that requires immediate attention.